Tickets on sale Feb. 18! 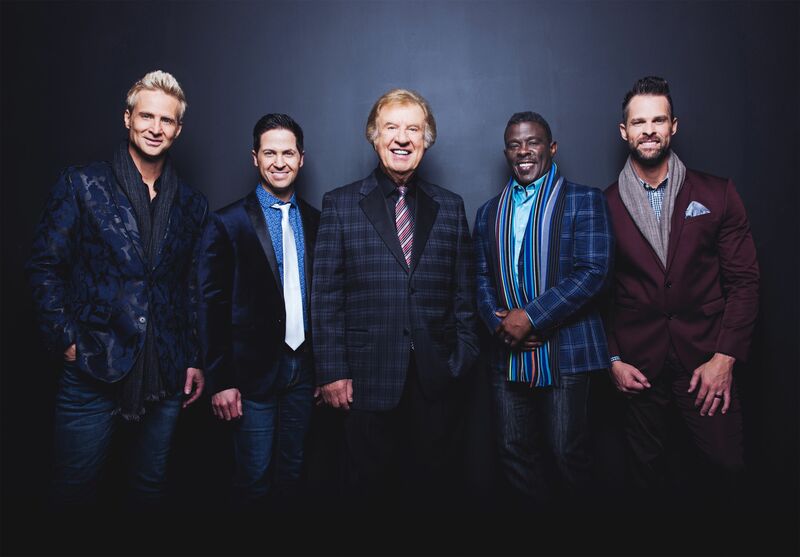 DES MOINES, IA – Des Moines Performing Arts is pleased to present multi-Grammy Award-winner Bill Gaither for a spectacular evening of music, laughter and encouragement featuring the talent of the prestigious GAITHER VOCAL BAND. The group will have one performance at the Des Moines Civic Center on Saturday, June 22, 2019 at 6:00 p.m. Single tickets will go on sale on Monday, Feb. 18 at 9 a.m. and can be purchased at DMPA.org, the Civic Center Ticket Office, and by phone at 515-246-2300. The Gaither Vocal Band will share timeless gospel classics, as well as refreshing, inspiring new favorites embraced by audiences of all ages and backgrounds. Few events have the ability to unite individuals from all walks of life the way Gaither concerts do. “The longer I live, the more I learn to appreciate the here and now - this moment - this place in life - this group of people with whom I am privileged to collaborate,” states Gaither Vocal Band founder and bass singer, Bill Gaither. This past fall, the Gaither Vocal Band celebrated the release of their brand-new recording, We Have This Moment, produced by famed country and gospel music performer and studio musician Gordon Mote. The recording is a musical snapshot of a special season for this lauded quintet, featuring Gaither, Wes Hampton, Adam Crabb, Todd Suttles and Reggie Smith, the newest addition to the iconic group. Named ASCAP's Songwriters of the Century, Bill and Gloria Gaither have written more than 700 popular gospel songs throughout their multi-decade career, including favorite standards “He Touched Me,” “Because He Lives,” and “There's Just Something About That Name.” Since 1992, when Gaither began recording the celebrated Homecoming series of DVDs and CDs, most every volume has gone gold or platinum with sales totaling approximately 100 million volumes. The programs appear regularly on television networks around the world. For additional information, please visit: www.gaither.com, www.premierproductions.com or DMPA.org.